The three products on offer are the result of an exploration into musical systems design. The impetus for applying industrial design principles to the music sector was to de-clutter the systems associated with composition and performance. This would thereby contribute to shallowing the immense difficulty curve prospective students face when being introduced to music theory for the first time. After basic and applied research it became apparent that a new codified system for music theory could not possibly be universal - sound after all, is a fluid and perceptually ambiguous medium. In the wake of this conclusion a new direction was formed. A direction that dictates the creation of physical instruments or tools to aid musicians in the traversal of the sensory landscape, through sensorial interaction rather than semantic construction. 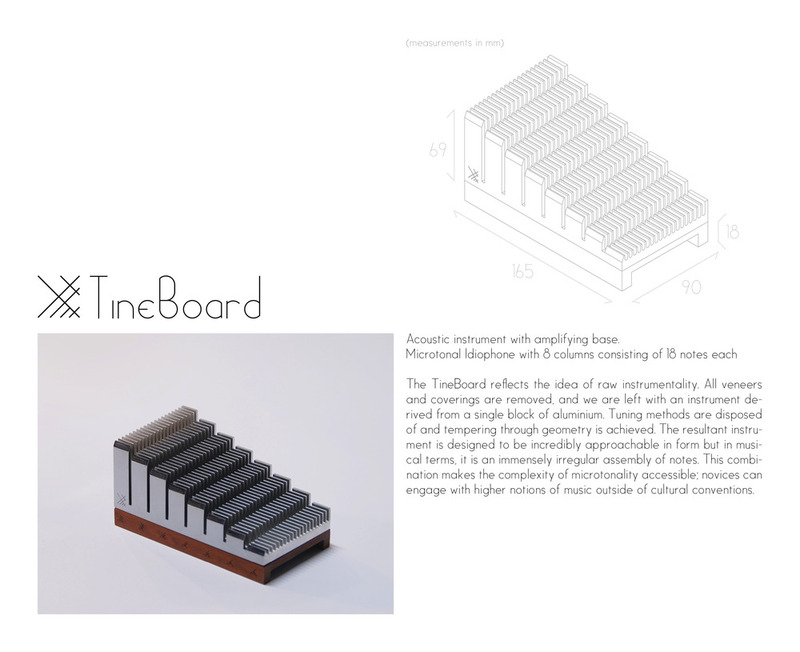 The practical outcome of which is a series of new musical instruments that emphasise nuanced and progressive interaction, free exploration and, a focus on sculptural yet practical form and material treatment. These guidelines push against the current market by making the importance of emotional connections between instrument and performer a priority.